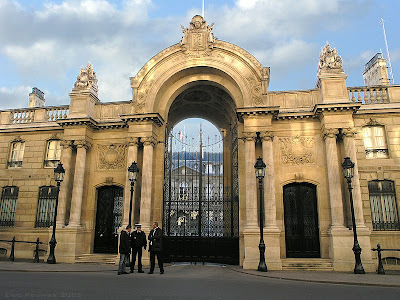 world pictures wallpapers | nature pictures | top inventions Know Our World of Mysterious: The Élysée Palace, Paris. 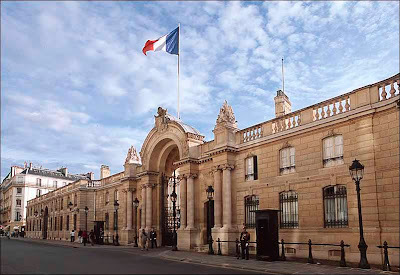 The Élysée Palace is the official residence of the President of the French Republic, containing his office, and is where the Council of Ministers meets. It is located near the Champs-Élysées in Paris. 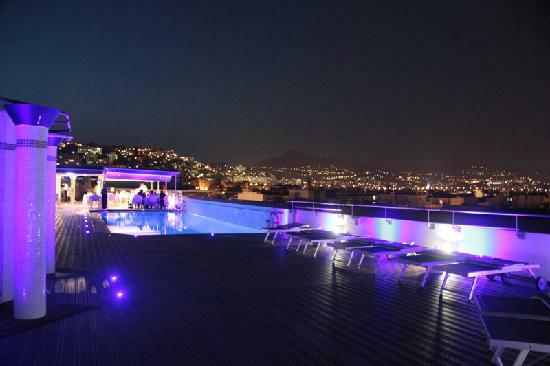 Important foreign visitors are hosted at the nearby Hôtel de Marigny, a palatial residence. 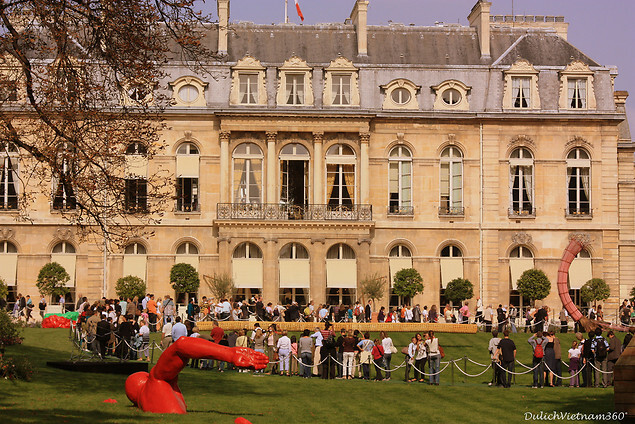 The Élysée has gardens, in which the president hosts a party on the afternoon of Bastille Day. Nicolas Sarkozy, the President of France since 2007, is the current resident. 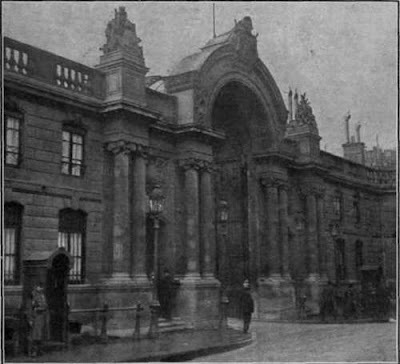 The architect Armand-Claude Mollet possessed a property fronting on the road to the village of Roule, west of Paris , and backing onto royal property, the Grand Cours through the Champs-Élysées. He sold this in 1718 to Louis Henri de La Tour d'Auvergne, comte d'Évreux , with the agreement that Mollet would construct an hôtel particulier for the count, fronted by an entrance court and backed by a garden. 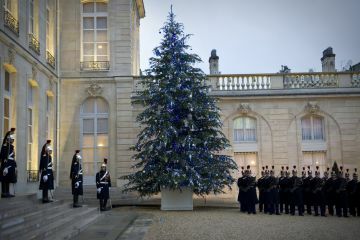 The Hôtel d'Évreux was finished and decorated by 1722, and though it has undergone many modifications since, it remains a fine example of the French classical style. At the time of his death in 1753, Évreux was the owner of one of the most widely admired houses in Paris, and it was bought by King Louis XV as a residence for the Marquise de Pompadour, his mistress. Opponents showed their distaste for the regime by hanging signs on the gates that read: "Home of the King's whore". After her death, it reverted to the crown. In 1773, it was purchased by Nicolas Beaujon, banker to the Court and one of the richest men in France, who needed a suitably sumptuous "country house" (for the city of Paris did not yet extend this far) to house his fabulous collection of great masters paintings. 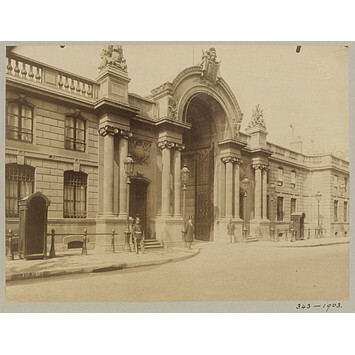 To this end, he hired the architect Étienne-Louis Boullée to make substantial alterations to the buildings (as well as design an English-style garden). Soon on display there were such well-known masterpieces as Holbein's The Ambassadors (now in the National Gallery in London), and Frans Hals' Bohemian (now at the Louvre). His architectural alterations and art galleries gave this residence international renown as "one of the premier houses of Paris". The palace and gardens were purchased from Beaujon by Bathilde, duchesse de Bourbon in 1787 for 1,300,000 livres. [ It was the Duchess who named it the Élysée. She also built a group of cottages in the gardens which she named the Hameau de Chantilly, after the Hameau at her Château de Chantilly. 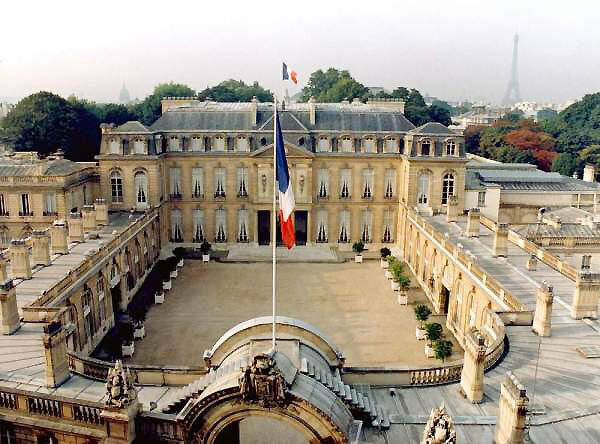 With the French Revolution, the Duchess fled the country and the Élysée was confiscated. It was leased out. The gardens were used for eating, drinking, and dancing, under the name Hameau de Chantilly; and the rooms became gambling houses.